Since 1976 newcomers and natives alike have learned about the rich history of the magnificent place they call home from Colorado: A History of the Centennial State. 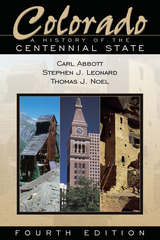 In this revised edition, co-authors Carl Abbott, Stephen J. Leonard, and Thomas J. Noel incorporate more than a decade of new events, findings, and insights about Colorado in an accessible volume that general readers and students will enjoy. The new edition tells of conflicts, new alliances, and changing ways of life as Hispanic, European, and African American settlers flooded into a region that was already home to Native Americans. 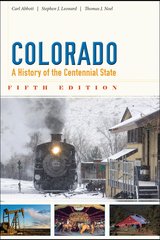 Providing balanced coverage of the entire state's history - from Grand Junction to Lamar and from Trinidad to Craig - the authors also reveal how Denver and its surrounding communities developed and gained influence. While continuing to elucidate the significant impact of mining, agriculture, manufacturing, and tourism on Colorado, this new edition broadens its coverage. The authors expand their discussion of the twentieth century with several new chapters on the economy, politics, and cultural conflicts of recent years. In addition, they address changes in attitudes toward the natural environment as well as the contributions of women, Hispanics, African Americans, and Asian Americans to the state. 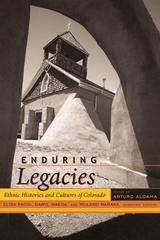 Dozens of new illustrations, updated statistics, and an extensive bibliography of the most recent research on Colorado history enhance this edition. "The natural voice at work in the poetry sings of one human life as if it were our own. I loved listening." 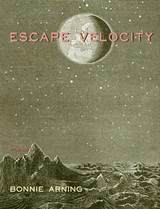 "This just may be one of the best books of poetry I have ever read. . . . This is the kind of writing that give poetry a good name." "Abeyta's poetry amazingly captures this struggle with poems that are simultaneously tortured and thankful, celebratory and melancholy, earthly and ethereal. . . . 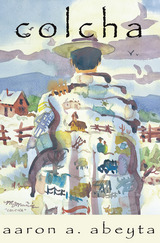 Poet Abeyta beautifully captures the hardships of living in rural Colorado." "Abeyta writes about family, friends, and famous (and infamous) locals. His approach is intimate and daring while avoiding the self-absorbed, coffee-house clichés we fear. Yes, death plays a role in the connection of community and the land, but these poems are sly rather than dark, modulated rather than graphic, sweet rather than maudlin." In Colcha, Aaron Abeyta blends the contrasting rhythms of the English and Spanish languages, finding music in a simple yet memorable lyricism without losing the complexity and mystery of personal experience. His forty-two poems take the reader on a journey through a contemplative personal history that explores communal, political and societal issues as well as the individual experiences of family and friends. With his distinctive voice, Abeyta invites people of all cultures to enter his poems by exploring the essence of humanity as expressed by his particular Hispanic culture and heritage. Marked by intimacy and deep sentiment, Colcha not only acquaints us with the land of Abeyta's people, but also reveals the individuals from his life and family history in the most colorful and delicate detail. We meet his abuelitos (grandparents) in poems such as "colcha" and "3515 Wyandot," and hear of their connection to the tierra and its seasons, their labor and its bounty presented both viscerally and lovingly. We also meet the nameless people: the rancheros and the herders and the farmers, the locals in their pick-up trucks, and the women who make the tortillas. Abeyta's reflections on the plight, loves, joys, failures, and exploitation of the common person in such poems as "cuando se secan las acequias," "untitled (verde)," and "cinco de mayo" belong to the literary heritage of such poets as Pablo Neruda, Federico Garcia Lorca, and Walt Whitman. Colcha is not just for those who love poetry, but for all people who wish to be moved by the music of language and, while listening, perhaps to gain some personal insight into their own lives and cultural traditions. Through epistolary essays and poems, American Book Award- and Colorado Book Award-winning author and poet Aaron A. Abeyta captures the soul of the cultural and geographical crossroads of the driest quadrant in the nation, the Colorado headwaters, source to all the rivers in the southwestern and mid-western United States. 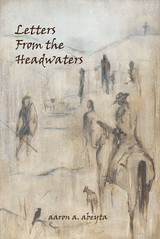 Originating from and expanding on the themes of twenty-five years of “Headwaters” conferences at Western State Colorado University, these essays and poems embrace the region’s past while also exploring the struggles of a present that seeks a sustainable future for the borderlands that define the very cross-cultural essence of the American experience. Part biography, part medical history, and part study of Jewish life in turn-of-the-century America, Jeanne Abrams's book tells the story of Dr. Charles David Spivak - a Jewish immigrant from Russia who became one of the leaders of the American Tuberculosis Movement. Born in Russia in 1861, Spivak immigrated to the United States in 1882 and received his medical degree from Philadelphia's Jefferson Medical College by 1890. In 1896, his wife's poor health brought them to Colorado. Determined to find a cure, Spivak became one of the most charismatic and well-known leaders in the American Tuberculosis Movement. His role as director of Denver's Jewish Consumptives' Relief Society sanatorium allowed his personal philosophies to strongly influence policies. His unique blend of Yiddishkeit, socialism, and secularism - along with his belief in treating the "whole" patient - became a model for integrating medical, social, and rehabilitation services that was copied across the country. 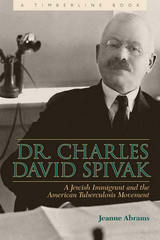 Not only a national leader in the crusade against tuberculosis but also a luminary in the American Jewish community, Dr. Charles Spivak was a physician, humanitarian, writer, linguist, journalist, administrator, social worker, ethnic broker, and medical, public health, and social crusader. Abrams's biography will be a welcome addition to anyone interested in the history of medicine, Jewish life in America, or Colorado history. Since antiquity, bats have been misunderstood and shrouded in mystery. Given misnomers such as fledermaus ("flying mouse") and murciegalo ("blind mouse"), these nocturnal flying mammals were even classified as primates by the great Carl Linnaeus, based on his knowledge of the anatomy of large Old World fruit bats. 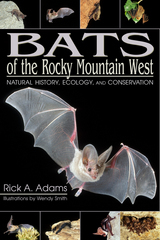 In this beautifully illustrated volume, bat specialist Rick A. Adams delves into bats' true nature and the roles these fascinating ledurblaka ("leather flutterers") play in the natural history and ecology of the Rocky Mountain West. Bats of the Rocky Mountain West begins with a general discussion of bat biology and evolution as well as regional physiography and zoogeography. In addition, Adams describes - based on the results of extensive research - the behavior and ecology of the 31 species of bats found in Montana, Idaho, Wyoming, Utah, Colorado, New Mexico, and Arizona. Naturalists and biologists alike will benefit from the detailed species descriptions, color photographs and illustrations, distribution maps, and echolocation sonograms. Bats of the Rocky Mountain West is a unique and valuable reference for professional bat biologists, naturalists, and wildlife enthusiasts interested in the conservation and ecology of bats in the region. This entertaining collection of essays from professional scientists and naturalists provides an enlightening look at the lives of field biologists with a passion for the hidden world of nocturnal wildlife. Into the Night explores the harrowing, fascinating, amusing, and largely unheard personal experiences of scientists willing to forsake the safety of daylight to document the natural history of these uniquely adapted animals. Contributors tell of confronting North American bears, cougars, and rattlesnakes; suffering red ctenid spider bites in the tropical rain forest; swimming through layers of feeding-frenzied hammerhead sharks in the Galapagos; evading the wrath of African bull elephants in South Africa; and delighting in the curious and gentle nature of foxes and unconditional acceptance by a family of owls. They describe “fire in the sky” across a treeless tundra, a sea ablaze with bioluminescent algae, nighttime earthquakes on the Pacific Rim, and hurricanes and erupting volcanoes on a Caribbean island. 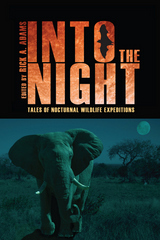 Into the Night reveals rare and unexpected insights into nocturnal field research, illuminating experiences, discoveries, and challenges faced by intrepid biologists studying nature’s nightly marvels across the globe. 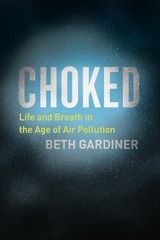 This volume will be of interest to scientists and general readers alike. 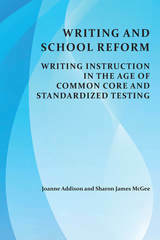 In Writing and School Reform, Joanne Addison and Sharon James McGee respond to a testing and accountability movement that has imposed increasingly stronger measures of control over our classrooms, shifted teaching away from best practices, and eroded teacher and student agency. Drawing on historical and empirical research, Writing and School Reform details the origins of the accountability movement, explores its emerging effects on the teaching of writing, and charts a path forward that reasserts the agency of teachers and researchers in the field. 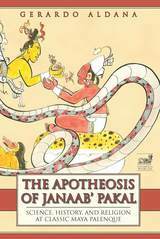 The Apotheosis of Janaab' Pakal takes up anew the riddles within a number of Maya hieroglyphic inscriptions first recognized by Floyd Lounsbury. Gerardo Aldana unpacks these mathematical riddles using an approach grounded in a reading of the texts made possible by recent advances in decipherment. Using a history of science methodology, he expands upon (and sometimes questions) the foundational work of archaeoastronomers. Aldana follows three lines of investigation: a reading of the hieroglyphic inscriptions of the Classic period (a.d. 250-900), mathematical analysis to recover Classic Maya astronomical practice, and a historiography of Maya astronomy. Quoted hieroglyphs appear throughout the text for cross-examination. Aldana reveals the social and political context of Maya astronomy by explicating the science and calendrical calculations found in the tablets of the Temple of Inscriptions and the Cross Group from the city of Palenque. He offers a compelling interpretation of an 819-day count, demonstrating its utility as an astronumerological tool that Maya scribes used to simplify complex calculations. During troubled times in Palenque, Aldana contends, Kan Balam II devised a means to preserve the legitimacy of his ruling dynasty. He celebrated a re-creation of the city as a contemporary analogue of a mythical Creation on three levels: monumental construction for a public audience, artistic patronage for an elite audience, and a secret mathematical astronomical language only for rulers-elect. Discussing all of these efforts, Aldana focuses on the recovery of the secret language and its historical context. 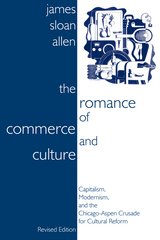 The Romance of Commerce and Culture is a lively and provocative history of how art and intellect formed an alliance with consumer capitalism in the mid-twentieth century and put Aspen, Colorado, on the map. In Wyoming Revisited, Michael A. Amundson uses the power of rephotography to show how landscapes across the state have endured over the last century. Three sets of photographs—the original black-and-white photographs taken by famed Wyoming photographer Joseph E. Stimson more than a century ago, repeat black-and-white images taken by Amundson in the 1980s, and a third view in color taken by the author in 2007–2008—are accompanied by captions explaining the history and importance of each site as well as information on the process of repeat photographic fieldwork. The 117 locations feature street views of Wyoming towns and cities, as well as views from the state's famous natural landmarks like Yellowstone National Park, Grand Teton National Park, Devil's Tower National Monument, Hot Springs State Park, and Big Horn and Shoshone National Forests. In addition, Amundson provides six in-depth essays that explore the life of Joseph E. Stimson, the rephotographic process and how it has evolved, and how repeat photography can be used to understand history, landscape, historic preservation, and globalization. Wyoming Revisited highlights the historic evolution of the American West over the past century and showcases the significant changes that have occurred over the past twenty-five years. This book will appeal to photographers, historians of the American West, and anyone interested in Wyoming's history or landscape. 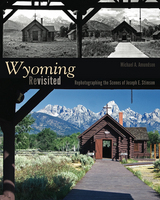 The publication of this book is supported in part by the Wyoming Cultural Trust Fund. 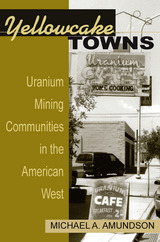 Michael Amundson presents a detailed analysis of the four mining communities at the hub of the twentieth-century uranium booms: Moab, Utah; Grants, New Mexico; Uravan, Colorado; and Jeffrey City, Wyoming. He follows the ups and downs of these "Yellowcake Towns" from uranium's origins as the crucial element in atomic bombs and the 1950s boom to its use in nuclear power plants, the Three Mile Island accident, and the 1980s bust. Yellowcake Towns provides a look at the supply side of the Atomic Age and serves as an important contribution to the growing bibliography of atomic history. 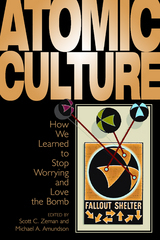 In Atomic Culture, eight scholars examine the range of cultural expressions of atomic energy from the 1940s to the early twenty-first century, including comic books, nuclear landscapes, mushroom-cloud postcards, the Los Alamos suburbs, uranium-themed board games, future atomic waste facilities, and atomic-themed films such as Dr. Strangelove and The Atomic Kid. Despite the growing interest in atomic culture and history, the body of relevant scholarship is relatively sparse. Atomic Culture opens new doors into the field by providing a substantive, engaging, and historically based consideration of the topic that will appeal to students and scholars of the Atomic Age as well as general readers. Contributors include Michael A. Amundson, Mick Broderick, Peter Goin, John Hunner, Ferenc M. Szasz, A. Costandina Titus, Peter C. van Wyck, and Scott C. Zeman. 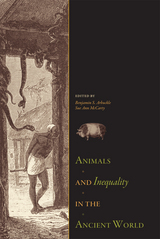 Animals and Inequality in the Ancient World explores the current trends in the social archaeology of human-animal relationships, focusing on the ways in which animals are used to structure, create, support, and even deconstruct social inequalities. The authors provide a global range of case studies from both New and Old World archaeology—a royal Aztec dog burial, the monumental horse tombs of Central Asia, and the ceremonial macaw cages of ancient Mexico among them. They explore the complex relationships between people and animals in social, economic, political, and ritual contexts, incorporating animal remains from archaeological sites with artifacts, texts, and iconography to develop their interpretations. Animals and Inequality in the Ancient World presents new data and interpretations that reveal the role of animals, their products, and their symbolism in structuring social inequalities in the ancient world. The volume will be of interest to archaeologists, especially zooarchaeologists, and classical scholars of pre-modern civilizations and societies. 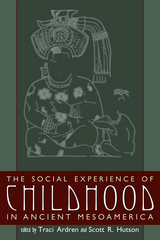 The first book to focus on children in ancient Mesoamerica, this vital reference offers a key methodological guide for archaeologists studying children and their roles not only in Mesoamerica, but also in ancient societies worldwide. Contributors examine material evidence, historical records, and iconography, productively criticizing the claim that children are invisible in the archaeological record and elucidating an ancient childhood comprising multiple and complex identities. They explore the methodological and theoretical difficulties created when investigating childhood - a category defined by each culture - in the archaeological record. Sure to appeal widely to New World and Old World archaeologists and anthropologists, The Social Experience of Childhood in Ancient Mesoamerica will open up new avenues of research into the lives of this previously overlooked yet remarkably large population. 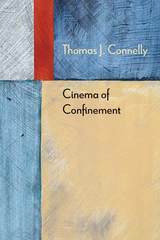 Contributors include Traci Ardren, Ximena Chávez Balderas, Billie Follensbee, Byron Hamann, Scott R. Hutson, Rosemary A. Joyce, Stacie M. King, Jeanne Lopiparo, Patricia McAnany, Geoffrey G. McCafferty, Sharisse D. McCafferty, Juan Alberto Román Berrelleza, Rebecca Storey, Rissa M. Trachman, Fred Valdez Jr.
Now available in English, Thunder Doesn't Live Here Anymore explores the highly unusual worldview of the Teenek people of Tantoyuca, Veracruz, whose self-deprecating cosmology diverges quite radically from patterns of positive cultural identity among other indigenous groups in Mexico. The Teeneks speak of themselves as dirty, dumb, ignorant, and fearful, a vocabulary that serves to justify the Teeneks' condition of social and spatial marginality in relation to their mestizo neighbors. However, as Anath Ariel de Vidas argues in this masterful ethnography, this self-denigration - added to the absence among the Teeneks of emblematic Indian features such as traditional costumes, agricultural rituals, specific ceremonies, or systems of religious cargos or offices - are not synonymous with collective anomie. Rather, as Ariel de Vidas demonstrates, their seeming ontological acceptance of a marginal social and economic condition is - in its own peculiar way - a language of indigenous resistance. In Elusive Unity, Armstrong-Fumero examines early twentieth-century peasant politics and twenty-first-century indigenous politics in the rural Oriente region of Yucatán. 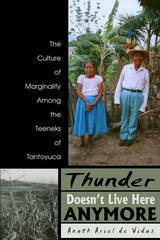 The rural inhabitants of this region have had some of their most important dealings with their nation’s government as self-identified “peasants” and “Maya.” Using ethnography, oral history, and archival research, Armstrong-Fumero shows how the same body of narrative tropes has defined the local experience of twentieth-century agrarianism and twenty-first-century multiculturalism. Through these recycled narratives, contemporary multicultural politics have also inherited some ambiguities that were built into its agrarian predecessor. Specifically, local experiences of peasant and indigenous politics are shaped by tensions between the vernacular language of identity and the intense factionalism that often defines the social organization of rural communities. This significant contribution will be of interest to historians, anthropologists, and political scientists studying Latin America and the Maya. 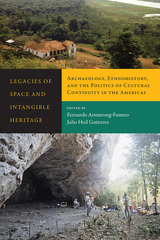 Legacies of Space and Intangible Heritage is an interdisciplinary exploration of the intersections between the study and management of physical sites and the reproduction of intangible cultural legacies. The volume provides nine case studies that explore different ways in which place is mediated by social, political, and ecological processes that have deep historical roots and that continue to affect the politics of heritage management. Spaces of human habitation are both historical records of the past and key elements in reproducing the knowledge and values that define lives in the present. Practices, knowledge, and skills that communities recognize as part of their culture—and that a range of legal statutes define as protected intangible heritages—are threatened by increased migration, the displacement of indigenous peoples, and limits on access to culturally or historically significant sites. This volume addresses how different physical environments contribute to the reproduction of cultural forms even in the wake of these processes of displacement and change. Case studies from North and South America reveal a pattern of abandonment and reestablishment of settlements and show how collective memory drives people back to culturally meaningful sites. This tendency for communities to return to the sites that shaped their collective histories, along with the growing importance granted to intangible heritage, challenges archaeologists and other heritage workers to find new ways of incorporating the cultural legacies that link societies to place into the work of research and stewardship. By examining the politics of cultural continuity through the lenses of archaeology and ethnohistory, Legacies of Space and Intangible Heritage demonstrates this complex relationship between a people’s heritage and the landscape that affects the making of "place." 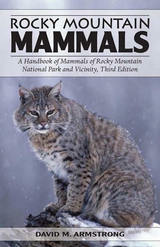 Revised, updated, and with more than 80 new color photographs, Rocky Mountain Mammals, Third Edition is a nontechnical guide to the mammals of the Southern Rocky Mountains and their foothills, with special emphasis on Rocky Mountain National Park and vicinity. Designed for quick reference and enjoyable reading, Rocky Mountain Mammals offers what most field guides don't - a wealth of fascinating information about each species. In seventy-two species accounts, David M. Armstrong describes each animal and its signs, habits, habitat, and natural history, noting times when seasonal events such as elk sparring occur. Introductory materials and appendices offer rich context and wildlife-watching support, including a checklist with page numbers for quick field reference, an identification key, a glossary, derivations of scientific names, and advice on how, when, and where to watch mammals. Armstrong introduces mammalian evolution, anatomy, and distribution and offers perspective on how the local fauna fits into its geographical setting and into past and potential future faunas of the region. This lavishly illustrated new edition will delight those who live in and visit the high country and foothills of the Southern Rockies and want to identify mammals and learn about their lives. Published in association with the Rocky Mountain Nature Association. 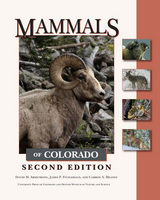 Thoroughly revised and updated, Mammals of Colorado, Second Edition is a comprehensive reference on the nine orders and 128 species of Colorado's recent native fauna, detailing each species' description, habitat, distribution, population ecology, diet and foraging, predators and parasites, behavior, reproduction and development, and population status. An introductory chapter on Colorado's environments, a discussion of the development of the fauna over geologic time, and a brief history of human knowledge of Coloradan mammals provide ecological and evolutionary context. The most recent records of the state's diverse species, rich illustrations (including detailed maps, skull drawings, and photographs), and an extensive bibliography make this book a must-have reference. In The Evolution of Ceramic Production Organization in a Maya Community, Dean E. Arnold continues his unique approach to ceramic ethnoarchaeology, tracing the history of potters in Ticul, Yucatán, and their production space over a period of more than four decades. This follow-up to his 2008 work Social Change and the Evolution of Ceramic Production and Distribution uses narrative to trace the changes in production personnel and their spatial organization through the changes in production organization in Ticul. Although several kinds of production units developed, households were the most persistent units of production in spite of massive social change and the reorientation of pottery production to the tourist market. Entrepreneurial workshops, government-sponsored workshops, and workshops attached to tourist hotels developed more recently but were short-lived, whereas pottery-making households extended deep into the nineteenth century. Through this continuity and change, intermittent crafting, multi-crafting, and potters' increased management of economic risk also factored into the development of the production organization in Ticul. 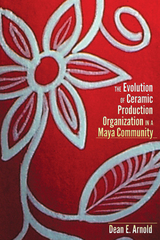 Illustrated with more than 100 images of production units, The Evolution of Ceramic Production Organization in a Maya Community is an important contribution to the understanding of ceramic production. Scholars with interests in craft specialization, craft production, and demography, as well as specialists in Mesoamerican archaeology, anthropology, history, and economy, will find this volume especially useful. 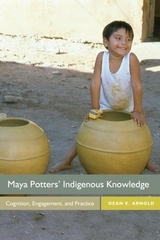 Based on fieldwork and reflection over a period of almost fifty years, Maya Potters’ Indigenous Knowledge utilizes engagement theory to describe the indigenous knowledge of traditional Maya potters in Ticul, Yucatán, Mexico. In this heavily illustrated narrative account, Dean E. Arnold examines craftspeople’s knowledge and skills, their engagement with their natural and social environments, the raw materials they use for their craft, and their process for making pottery. Following Lambros Malafouris, Tim Ingold, and Colin Renfrew, Arnold argues that potters’ indigenous knowledge is not just in their minds but extends to their engagement with the environment, raw materials, and the pottery-making process itself and is recursively affected by visual and tactile feedback. Pottery is not just an expression of a mental template but also involves the interaction of cognitive categories, embodied muscular patterns, and the engagement of those categories and skills with the production process. Indigenous knowledge is thus a product of the interaction of mind and material, of mental categories and action, and of cognition and sensory engagement—the interaction of both human and material agency. Engagement theory has become an important theoretical approach and “indigenous knowledge” (as cultural heritage) is the focus of much current research in anthropology, archaeology, and cultural resource management. While Dean Arnold’s previous work has been significant in ceramic ethnoarchaeology, Maya Potters' Indigenous Knowledge goes further, providing new evidence and opening up different concepts and approaches to understanding practical processes. It will be of interest to a wide variety of researchers in Maya studies, material culture, material sciences, ceramic ecology, and ethnoarchaeology. How and why do ceramics and their production change through time? 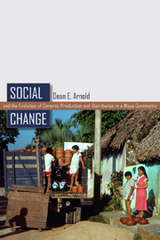 Social Change and the Evolution of Ceramic Production and Distribution in a Maya Community is a unique ethno-archaeological study that attempts to answer these questions by tracing social change among potters and changes in the production and distribution of their pottery in a the Mexican community of Ticul between 1965 and 1997. Dean E. Arnold made ten visits to Ticul, Yucatan, Mexico, witnessing the changes in transportation infrastructure, the use of piped water, and the development of tourist resorts. Even in this context of social change and changes in the demand for pottery, most of the potters in 1997 came from the families that had made pottery in 1965. This book traces changes and continuities in that population of potters, in the demand and distribution of pottery, and in the procurement of clay and temper, paste composition, forming, and firing. In this volume, Arnold bridges the gap between archaeology and ethnography, using his analysis of contemporary ceramic production and distribution to generate new theoretical explanations for archaeologists working with pottery from antiquity. When the descriptions and explanations of Arnold’s findings in Ticul are placed in the context of the literature on craft specialization, a number of insights can be applied to the archaeological record that confirm, contradict, and nuance generalizations concerning the evolution of ceramic specialization. This book will be of special interest to anthropologists, archaeologists, and ethnographers. 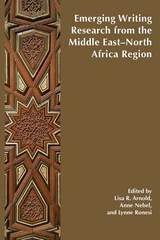 While events in the Middle East-North Africa region dominate world news, it is an area little understood by the rest of the world—not only historically, politically, and culturally but also within the discipline of Rhetoric and Composition and Second Language Writing. 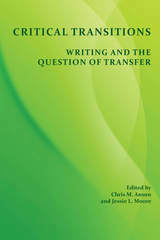 The editors and contributors to this collection share scholarship that addresses how writing programs and writing-across-the-curriculum initiatives—in the region and outside of it—are responding to the increasing globalization of higher education and contributing to international discussions about World Englishes and other language varieties as well as translingual approaches to writing and writing pedagogy. In Conquered Conquistadors, Florine Asselbergs reveals that a large pictorial map, the Lienzo de Quauhquechollan, long thought to represent a series of battles in central Mexico, was actually painted in the 1530s by Quauhquecholteca warriors to document their invasion of Guatemala alongside the Spanish and to proclaim themselves as conquistadors. This painting is the oldest known map of Guatemala and a rare document of the experiences of indigenous conquistadors. The people of the Nahua community of Quauhquechollan (present-day San Martín Huaquechula), in central Mexico, allied with Cortés during the Spanish-Aztec War and were assigned to the Spanish conquistador Jorge de Alvarado. De Alvarado and his allies, including the Quauhquecholteca and thousands of other indigenous warriors, set off for Guatemala in 1527 to start a campaign against the Maya. The few Quauhquecholteca who lived to tell the story recorded their travels and eventual victory on the huge cloth map, the Lienzo de Quauhquechollan. 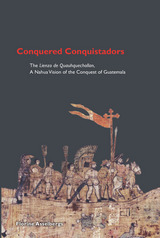 Conquered Conquistadors, published in a European edition in 2004, overturned conventional views of the European conquest of indigenous cultures. American historians and anthropologists will relish this new edition and Asselbergs's astute analysis, which includes context, interpretation, and comparison with other pictographic accounts of the "Spanish" conquest. This heavily illustrated edition includes an insert reproduction of the Lienzo de Quauhquechollan. The Myth of Quetzalcoatl is a translation of Alfredo López Austin’s 1973 book Hombre-Dios: Religión y politica en el mundo náhuatl. 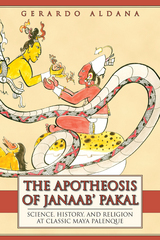 Despite its pervasive and lasting influence on the study of Mesoamerican history, religion in general, and the Quetzalcoatl myth in particular, this work has not been available in English until now. The importance of Hombre-Dios and its status as a classic arise from its interdisciplinary approach, creative use of a wide range of source material, and unsurpassed treatment of its subject—the nature and content of religious beliefs and rituals among the native populations of Mesoamerica and the manner in which they fused with and helped sanctify political authority and rulership in both the pre- and post-conquest periods. 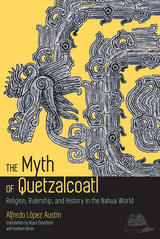 Working from a wide variety of previously neglected documentary sources, incorporating myth, archaeology, and the ethnography of contemporary Native Americans including non-Nahua peoples, López Austin traces the figure of Quetzalcoatl as a “Man-God” from pre-conquest times, while Russ Davidson’s translator’s note, Davíd Carrasco's foreword, and López Austin’s introduction place the work within the context of modern scholarship. López Austin’s original work on Quetzalcoatl is a pivotal work in the field of anthropology, and this long-overdue English translation will be of significance to historians, anthropologists, linguists, and serious readers interested in Mesoamerica. Apocalyptic Anxiety traces the sources of American culture’s obsession with predicting and preparing for the apocalypse. Author Anthony Aveni explores why Americans take millennial claims seriously, where and how end-of-the-world predictions emerge, how they develop within a broader historical framework, and what we can learn from doomsday predictions of the past. The book begins with the Millerites, the nineteenth-century religious sect of Pastor William Miller, who used biblical calculations to predict October 22, 1844 as the date for the Second Advent of Christ. 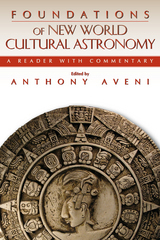 Aveni also examines several other religious and philosophical movements that have centered on apocalyptic themes—Christian millennialism, the New Age movement and the Age of Aquarius, and various other nineteenth- and early twentieth-century religious sects, concluding with a focus on the Maya mystery of 2012 and the contemporary prophets who connected the end of the world as we know it with the overturning of the Maya calendar. 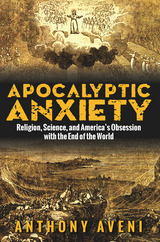 Apocalyptic Anxiety places these seemingly never-ending stories of the world’s end in the context of American history. This fascinating exploration of the deep historical and cultural roots of America’s voracious appetite for apocalypse will appeal to students of American history and the histories of religion and science, as well as lay readers interested in American culture and doomsday prophecies. In Class Not Dismissed, award-winning professor Anthony Aveni tells the personal story of his six decades in college classrooms and some of the 10,000 students who have filled them. Through anecdotes of his own triumphs and tribulations—some amusing, others heartrending—Aveni reveals his teaching story and thoughts on the future of higher education. Aveni is known to his students as a consummate storyteller. In Class Not Dismissed he shares real stories about everyday college life that shed light on serious educational issues. 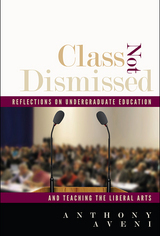 The result is a humorous, reflective, inviting, and powerful inquiry into higher education that will be of interest to anyone invested in the current and future state of college and university education. "Aveni . 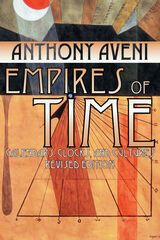 . . explores the interplay of culture and time in this edifying and readable cross-cultural study of timekeeping through the ages." December 21, 2012. The Internet, bookshelves, and movie theaters are full of prophecies, theories, and predictions that this date marks the end of the world, or at least the end of the world as we know it. Whether the end will result from the magnentic realignment of the north and south poles, bringing floods, earthquakes, death, and destruction; or from the return of alien caretakers to enlighten or enslave us; or from a global awakening, a sudden evolution of Homo sapiens into non-corporeal beings—theories of great, impending changes abound. 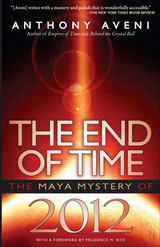 In The End of Time, award-winning astronomer and Maya researcher Anthony Aveni explores these theories, explains their origins, and measures them objectively against evidence unearthed by Maya archaeologists, iconographers, and epigraphers. He probes the latest information astronomers and earth scientists have gathered on the likelihood of Armageddon and the oft-proposed link between the Maya Long Count cycle and the precession of the equinoxes. He then expands on these prophecies to include the broader context of how other cultures, ancient and modern, thought about the “end of things” and speculates on why cataclysmic events in human history have such a strong appeal within American pop culture. Gazing into the black skies from the Anasazi observatory at Chimney Rock or the Castillo Pyramid in the Maya ruins of Chichén Itzá, a modern visitor might wonder what ancient stargazers looked for in the skies and what they saw. Once considered unresearchable, these questions now drive cultural astronomers who draw on written and unwritten records and a constellation of disciplines to reveal the wonders of ancient and contemporary astronomies. Cultural astronomy, first called archaeoastronomy, has evolved at ferocious speed since its genesis in the 1960s, with seminal essays and powerful rebuttals published in far-flung, specialized journals. Until now, only the most closely involved scholars could follow the intellectual fireworks. In Foundations of New World Cultural Astronomy, Anthony Aveni, one of cultural astronomy's founders and top scholars, offers a selection of the essays that built the field, from foundational works to contemporary scholarship. Including four decades of research throughout the Americas by linguists, archaeologists, historians, ethnologists, astronomers, and engineers, this reader highlights the evolution of the field through thematic organization and point-counterpoint articles. 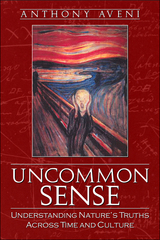 Aveni - an award-winning author and former National Professor of the Year - serves up incisive commentary, background for the uninitiated, and suggested reading, questions, and essay topics. Students, readers, and scholars will relish this collection and its tour of a new field in which discoveries about ancient ways of looking at the skies cast light on our contemporary views. The divide between teaching “intelligent design” and evolution in U.S. schools has brought to the public eye a struggle that archaeoastronomer Anthony Aveni argues is as old as culture itself. All societies seek to understand the natural world, but their search is shaped by culturally distinct views and experiences. In Uncommon Sense, Aveni explores the common and conflicting ways that ancient and contemporary societies have searched for the literal truth about the natural world’s mysteries, from dinosaur bones to the Star of Bethlehem. Aveni demonstrates that a society’s approach to making sense of the natural world can serve as a working definition of its culture, so strongly does it resonate with fundamental values and assumptions. 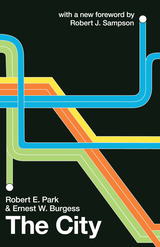 Readers interested in science, history, and world cultures will revel in this celebration of different cultures’ common and uncommon questions and conclusions about the natural world.